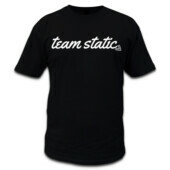 We started with an idea to create a community of like-minded car enthusiast that are all about the static life. The scrapping, sparks, driveway issues and daily commitment to rolling static. We know too well, it’s not easy to pull off, but it sure is hell is worth it. When your pride and joy is sitting right and tighter than a $5.00 day lunch allowance. So Static Academy was born and now it’s time to let your pride and joy shine with other people like yourself, who are all about that static all day living.